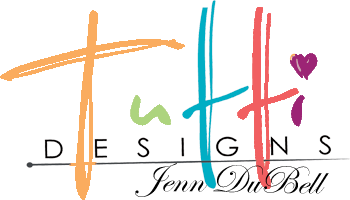 Hello Tutti Designs Fans! 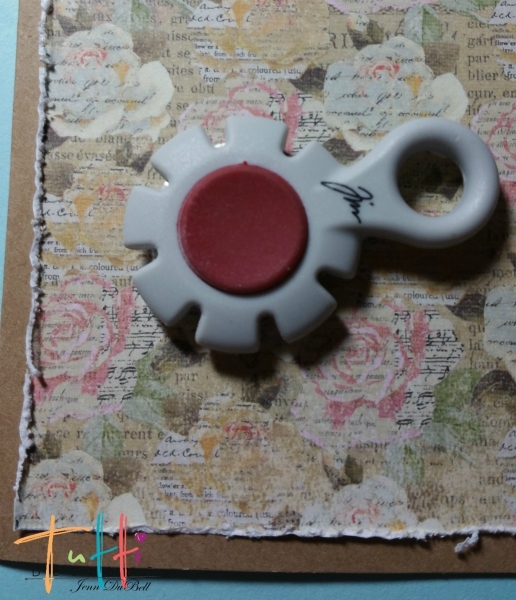 Jenn here sharing a card using some of our most recently released dies. This card was created to give a bit of encouragement to a friend. 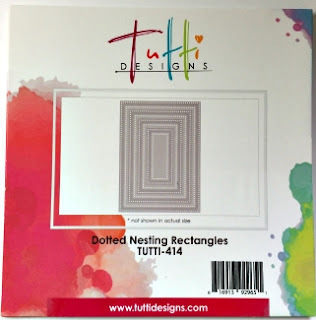 The dies used to create this card are Flower Hope, Cross Stitch Nesting Ovals, and Dotted Nesting Rectangles. Start by cutting your dies out. The centerpiece frame was created by using the largest dotted rectangle die and medium cross stitched oval as shown below. Tape the dies down if you use a magnetic plate so they do not shift. 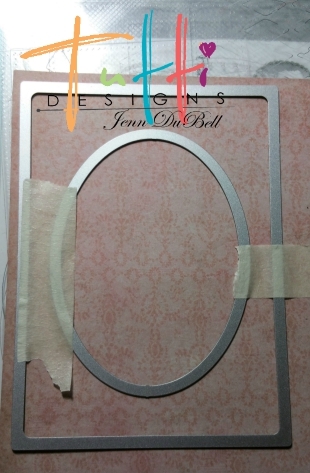 Set your die cuts aside and using a distress tool rough the edges of your main paper as shown. Use scortape or another paper adhesive to adhere it to the base. ** TIP ** To add a bit more distressed look I usually run my fingernail all around the tattered edges to lift it up. 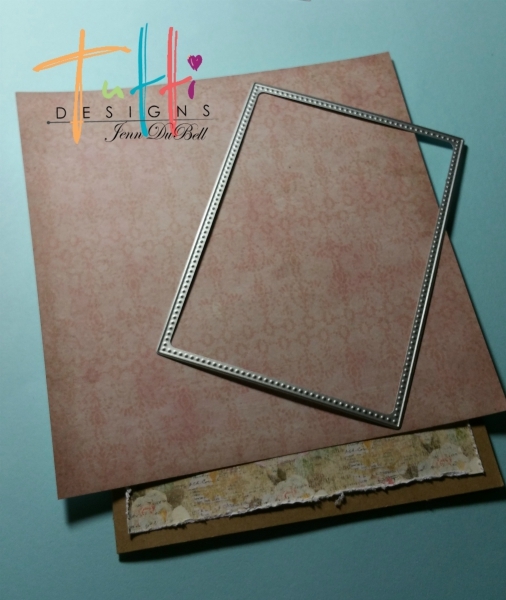 Use adhesive foam mounting dots on the die cut frame and adhere it to the front. 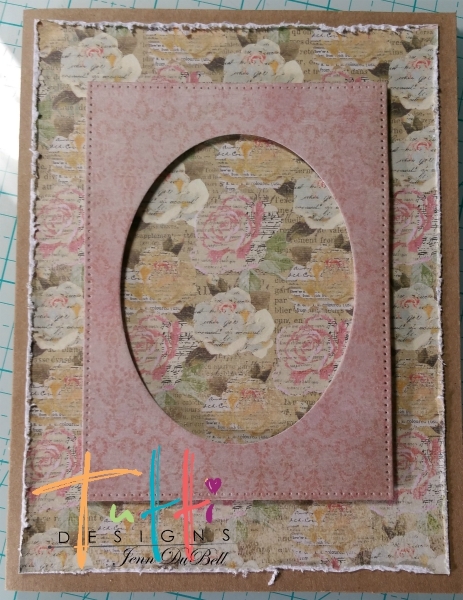 Add the oval vintage photo in the middle with paper glue or a tape runner. 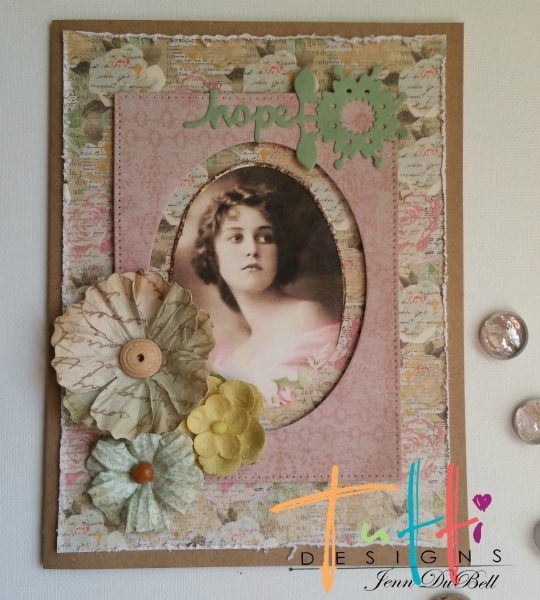 Add flowers and hope flower die cut as shown using paper safe adhesive. 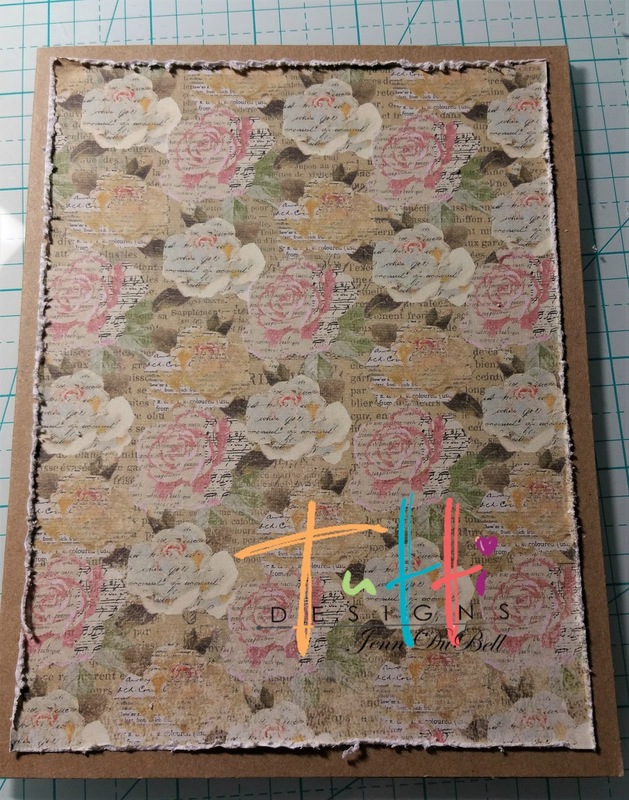 Finally, add a nice pearl acrylic medium lightly to the flowers and hope die cut. Add a couple of glass stones using a heavy gel adhesive or paper safe glue. 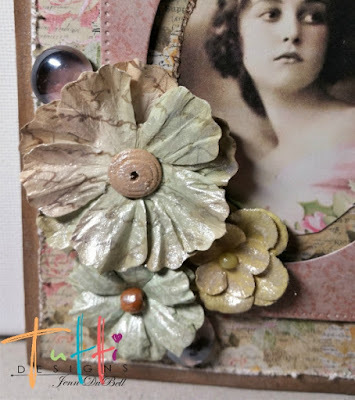 To add a bit more of a vintage look, lightly apply more pearl to outside edges of the card using your finger to rub it in. Go over the edges with distress ink in a vintage brown shade. In the pictures below you can see the difference the pearl makes! It is a beautiful result that enhances the beauty of these amazing dies! 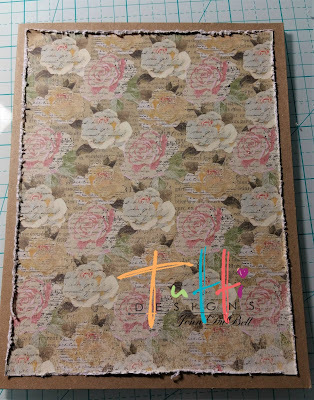 Thanks for stopping by to view my project for Tutti Designs! 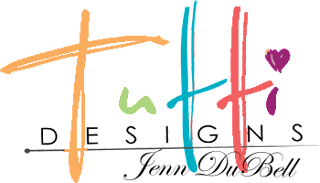 Be sure to visit the Tutti Designs Store for these dies along with the full inventory of Tutti Dies. 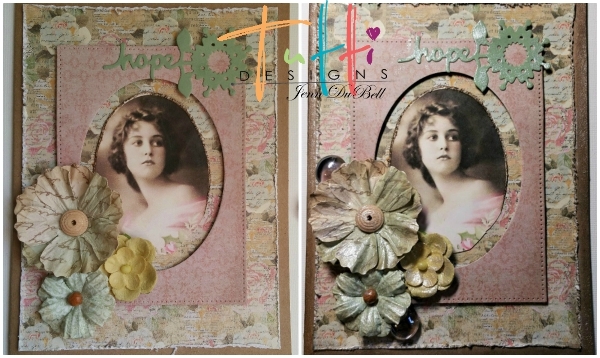 You have really captured a beautiful vintage feel and the hope die works perfectly with the lady's expression Jenn. Gorgeous vintage design Jenn! Thanks for wonderful inspiration using these dies ... well done! 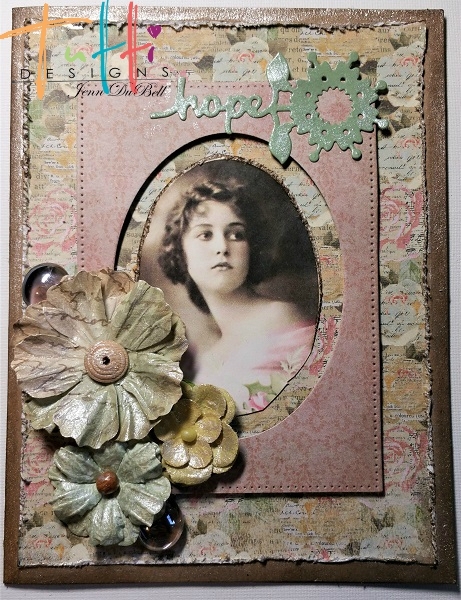 Simply lovely vintage card, Jenn! The dimension on the frame makes it come to life. 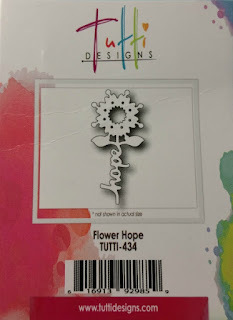 I really like the placement of the Hope Flower too. So pretty, love the details and the frame and well go on and on...beautiful!